In July 2017, PMP (Paper Machinery Producer) signed a contract for a delivery of wet end rebuild with a new Intelli-Jet V® hydraulic headbox, fourdrinier and reel rebuild for Australian Paper’s paper machine (PM4) located in Morwell, Australia. It is a big pleasure to announce that PM4 with new PMP Intelli-Jet V® hydraulic headbox, fourdrinier and reel has started up smoothly on September 10th at 4:12 am of local time. First jumbo roll appeared on the reel at 4:54 am. Two days later, machine started to produce saleable paper. 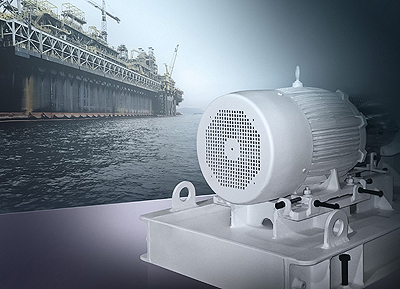 The scope of supply covered new 4-channel Intelli-Jet V® hydraulic headbox of 7 m pondside. This unit ensures excellent formation and production flexibility for the mill (basis weight from 110 to 270 g/m2). 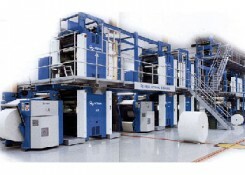 Headbox technology is a part of PMP’s Intelli-Paper® platform for papermakers. Over the years PMP Intelli-Jet V® hydraulic headbox has become an iconic solution in the Pulp & Paper Industry. Currently, there are over 150 PMP’s headboxes working successfully on 6 continents. The scope of delivery included also stock approach equipment (attenuator, LS Screens – 3 units), fourdrinier and reel rebuild. The project goal was to improve CD profile, tensile ratio and formation of the final product and increase the machine speed to 750 mpm. It is worth to mention that it is already second PMP Intelli-Jet V® hydraulic headbox working in Australian Paper Maryvale mill. The first one was implemented on PM2 on April 2018. This is a good example of a solid partnership between PMP and Australian leader in paper making. Valmet and Orora Limited have signed a multi-year agreement to continue the supply of maintenance and technology services for board making line 'B9' at Orora's Botany Mill in New South Wales, Australia. The value of the agreement will not be disclosed. The agreement will be effective as of July 1, 2017. Valmet supplied the complete B9 containerboard line in 2012 and took full responsibility for establishing the maintenance operations, mill maintenance services, management of several improvement projects and the mill utilities since start-up. "Valmet is one of our key partners and supports B9's operation as a world class paper mill. Orora and Valmet have worked closely together over the past five years and we have renewed the maintenance agreement to continue our cooperative relationship. The new agreement offers our business many benefits and we look forward to working with Valmet to maintain and enhance the high performance of the B9 facility," says Scott Beckett, Maintenance & Engineering Manager, Botany Mill, Orora Limited. "We are fully engaged and integrated into one B9 team and have been working side by side to deliver steady results in all areas since the machine's start-up. The renewal of this maintenance agreement is the best acknowledgement of what we have achieved over the years together with Orora. 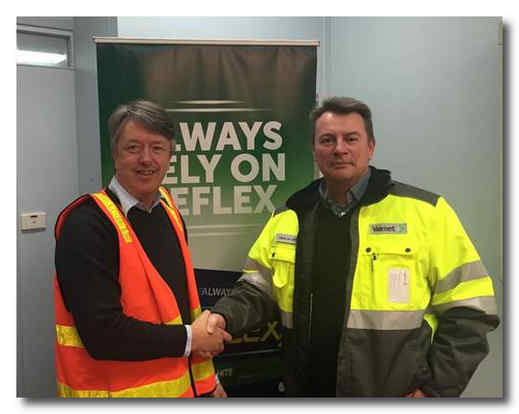 We're happy to share the journey forward with the B9 team to continuously improve the performance of the equipment and process, and keep B9 as a safe and stimulating place to work," says Pierre De Villiers, General Manager for Valmet in Australia and New Zealand. Extended scope in the renewed maintenance outsourcing agreement includes a 'Booster Package' targeting clear and systematic development of planned and unplanned downtime to best in class levels. The maintenance agreement also includes comprehensive automation services, enabling the maintenance team to monitor the process, perform troubleshooting and corrections remotely, and utilize the acquired data to optimize the process operation through the Valmet Industrial Internet. Other complementary agreements with Orora and its B9 facility include a Cooperation Agreement in which Valmet process experts and board makers work together to optimize various processes. Orora Limited is a AUD 3.8 billion public company, offering a range of tailored packaging and visual communication solutions. The company employs more than 6,500 people across 131 sites in seven countries. Orora is headquartered in Melbourne, Australia and is listed on the Australian Securities Exchange. 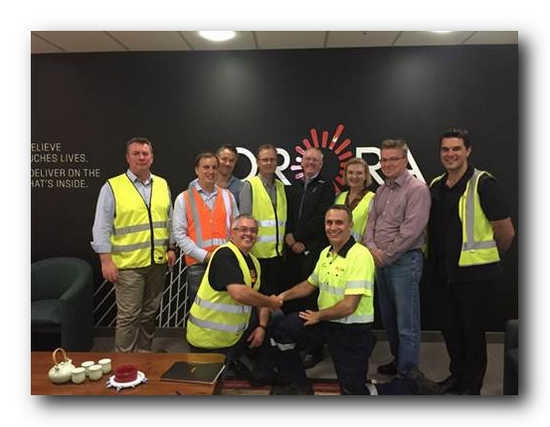 Located in Botany, New South Wales, Orora's Botany Mill produces high quality recycled packaging paper, which is then primarily converted into corrugated board by Orora's Fibre Packaging business in Australia and New Zealand. Australia could be on the cusp of a pulp production expansion over the coming years, as domestic demand for pulp increases. Australia's pulp consumption rose 3.3% in 2014-15, reaching a new record of 1,730,000 tonnes. Local production was supplemented by an important 291,000 tonnes of imported pulp. Imports accounted for just less than 17% of total pulp consumption. All but 3,000 tonnes of the imported pulp was chemical pulps of various types. In total, chemical pulp accounted for around three quarters of pulp utilisation for the year, as it does in most years. Australia's current pulp supply deficit is set to expand in 2016 and again in 2017, pushing out to approximately 400,000 tonnes per year, on conservative estimates. The main driver for the growth is the expansion of tissue production announced recently by ABC Tissue. IndustryEdge's estimate is that the tissue sector already uses more than two-thirds of Australia's imports of pulp. That will rise to around three quarters (300,000 tonnes) by the end of 2017. On that basis alone, and without taking into account general growth in demand, pulp imports will increase over the next two years, but that does not have to be the case. In fact, for local tissue producers, access to domestically produced pulp could prove to be a significant advantage. Currently, tissue producers are paying more for their pulp, largely due to the depreciation of the Australian Dollar, although that is being tempered somewhat by lower global pulp prices. Secure domestic supplies of pulp would be welcomed by at least some producers, and would, as a minimum, reduce currency risks. IndustryEdge's analysis, based on the detailed data in the 2015 edition of the Pulp & Paper Strategic Review, shows that Australia's total pulp needs could be supplied locally, with only modest additional investments. To be clear, that doesnt necessarily involve the building of a new pulp mill, although that would of course be welcome. Instead, expansions of existing pulping capacity at mills in New South Wales and Victoria could deliver the required additional pulp. In addition, there is the opportunity for more de-inked recycled fibre to be produced and supplied to the tissue sector. There are two significant challenges to this opportunity. The first challenge is that even with additional capacity, pulp bleaching remains a limitation in Australia and requires investment. The second and more complex challenge is establishing the conditions in which investment in expanded capacity and pulp bleaching would be viable. Translating demand into specific and bankable sales may require some form of longer term supply agreement between a pulp producer on the one hand and a paper manufacturer on the other. That would result in the tentative development of market pulp capacity in Australia, but with a difference. Australia's abundant wood resources and excellent fibre recovery and recycling credentials, makes the opportunities all the more tantalising. What is certain, is that importers are ready to meet the new supply opportunities. Working in part with the data from the 2015 Pulp & Paper Strategic Review, our feature in this month's edition of Pulp & Paper Edge will consider pulp markets in Australia, New Zealand and the Asian region more generally. Latest research and analysis by IndustryEdge demonstrates that Australia's consumption of paper and paperboard will increase by a total 4.9% over the five years to 2020. The 157,000 tonne increase in consumption is reported in the 24th annual edition of the Pulp & Paper Strategic Review, which has just been published by IndustryEdge. However, that aggregate consumption increase is not uniform across the major grades of paper and paperboard. Indeed, almost all forecast growth will be provided by increased consumption of packaging and industrial papers and printing and communication papers. For the first time, the Strategic Review includes forecasts for consumption and demand in New Zealand, as well as Australia and also includes new 'snapshot' graphics for each major sector for both Australia and New Zealand (see below). Over the same five year period, New Zealand's aggregate consumption will grow 4.3%. As with Australia, consumption growth will not be uniform across the paper grades, with Packaging and industrial papers again set to dominate. The Strategic Review includes, for the first time, 'key point' graphics to give you a rapid snapshot of all major sectors for both Australia and New Zealand. Orora has announced that it has reached agreement to sell its former carton board mill site in Petrie, Queensland, to Moreton Bay Regional Council for a total consideration of $50.5 million. Orora will receive $20 million on the exchange of contracts and the balance of the proceeds will be paid as decommissioning of the site progresses over the next two years. The total profit on the sale is anticipated to be approximately $10 million. Orora Ltd is headquartered in Melbourne, Australia. The company was created in 2013 after Amcor, one of the world's largest packaging companies with a 150 year history in Australia, demerged their Australasian and Packaging Distribution businesses. Visy Paper PM5 has successfully started up in end of March 2015 at Colaroo, Melbourne – Australia, after a press section upgrade carried out by the Italian company Toscotec. VP5 paper machine produces coating base sheet and test liner for export, from recycled paper. Visy is one of the world’s largest privately owned paper, packaging and recycling companies; it was established in Melbourne, Australia in 1948 as a manufacturer of corrugated cardboard boxes, and today’s operational footprint extends in over 120 sites across Australia, New Zealand, Thailand and Vietnam and trading offices across Asia, Europe and the USA. The project aim was to increase test liner paper quality and the overall efficiency of the press section, thus increasing the energy savings. The goal was achieved by the installation of a new framing for the press section and the introduction of a state of the art shoe press - TT XPress as third nip, working with a maximum nip load of 1300kN/m at an operating speed of 1000 m/min. The addition of a new TT SteelDryer-SD1500 at the beginning of the dryer section, completed the upgrade. 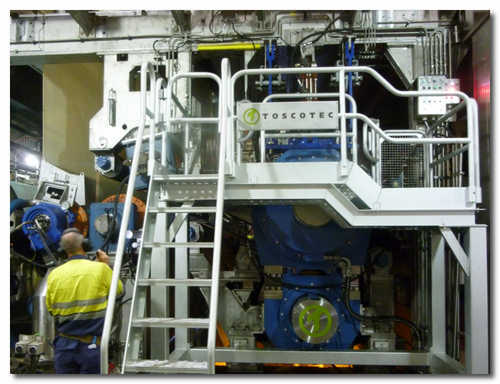 The short shut down period and the success of the installation was a result of the strong and constant partnership and cooperation between Toscotec, Build Run Repair, Visy’s dedicated Project Management Group, and the Mill that led to the quick achievement of the expected performances. Since 1948 TOSCOTEC, based in Lucca, Italy, has specialized in machinery for the Tissue and Paper industries. The company provides top of the range machinery and system solutions for complete turn-key plants ranging from 40 to 260 TPD and designs and manufactures TADVISION for the premium tissue and towel markets that require Through Air Dried technology. Actually Toscotec is the market Leader in Steel Yankee Dryers with sales of over 160 Steel Yankees up to 22’ in diameter and widths up to 6000 (236”mm). SCA, the leading global hygiene and forest products company, successfully floated its joint venture, Asaleo Care, in Australia, New Zealand and Fiji on the Australian Securities Exchange (ASX). Trading in the shares will commence on July 3. In early June, SCA and its Australian partner, Pacific Equity Partners (PEP), announced that an IPO was planned for the joint venture Asaleo Care. The offering has been successful and from July 3 the Asaleo Care share will be traded on the Australian Securities Exchange (ASX). After the IPO, SCA’s holding in Asaleo Care will amount to approximately 32.5%. Asaleo Care manufactures and markets consumer tissue and Away-from-Home (AfH) tissue, diapers, feminine care products and incontinence care products. Leading brands include TENA, Tork, Sorbent, Libra and Treasures. In 2013, the company reported net sales of AUD 625m (approx. SEK 3.9bn) and operating profit of AUD 97m (approx. SEK 610m). The company has about 1,050 full-time employees. TENA and Tork are SCA’s leading global brands for incontinence products and AFH tissue, respectively. These two brands will continue to be owned by SCA but will be licensed to Asaleo Care for sales of products under these brands in Australasian markets. NB: SCA discloses the information provided herein pursuant to the Financial Instruments Trading Act. Submitted for publication on June 30, 2014, at 07:00 CET. The leading global hygiene and forest products company SCA and its Australian partner, Pacific Equity Partners (PEP), have decided to float their joint venture in Australia, New Zealand and Fiji on the Australian Securities Exchange (ASX). A draft of the prospectus for the initial public offering (IPO) was today submitted to the Australian Securities and Investment Commission (ASIC). The listing of the joint venture Asaleo Care (formerly SCA Hygiene Australasia) on the ASX is scheduled to take place in late June or early July 2014. SCA intends to retain a significant shareholding in Asaleo Care. The Group currently owns 50% of the company. The stock market floatation will dilute SCA’s holding in the company. SCA’s ownership is expected to be approximately 33% following the IPO. Asaleo Care manufactures and markets consumer tissue and Away-from-Home (AfH) tissue, diapers, feminine care products and incontinence products. Leading brands include TENA, Tork, Sorbent, Libra and Treasures. In 2013, the company reported net sales of AUD 625m (approx. SEK 3.9 billion) and an operating profit of AUD 97m (approx. SEK 610m). The company has about 1,050 full-time employees. Australia, one of the world’s largest wood chip exporters, increased its chip shipments in 2013 after a ten-year low in 2012, reports the Wood Resource Quarterly. In the 1Q/14, shipments were close to the highest since 2010 thanks to high demand from China. Chinese pulp mills imported almost 30% of their hardwood chip import volume from Australia during the first three months of 2014. Australia was for many years the world’s leading exporter of wood chips and the major supplier of wood fiber to the pulp industry in Japan, which was the largest importer of wood chips in the world. This changed in 2012 when Australian exports fell to their lowest level in over ten years and Vietnam took over as the largest supplier of wood chips in the world. 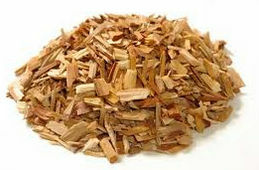 There is no lack of wood supply in Australia, rather it is the demand for chips from the export market that has changed. Exports of Eucalyptus chips reached a peak of five million tons in 2008, and fell to about 3.3 million tons in 2012, which is the lowest export volume since 2000. It is primarily the demand for chips in Japan that has diminished, and had it not been for China’s increased wood fiber demand, the picture would have been even bleaker for Australian chip exporters. However, over the past six months, shipments of wood chips from Australia have rebounded and volumes exported in the 4Q/13 and the 1Q/14 were the highest quarterly shipments since 2010. The biggest reason for the increase has been China’s need for wood fiber for the country’s pulp industry. As the matter of fact, the 1Q/14 was the first time Australia exported more wood chips to China than to Japan, as reported in the Wood Resource Quarterly (WRQ). Of the total shipments of 1.2 million tons in the 1Q/14, about 50% was destined to China, while the reminder was shipped to Japan, Taiwan and, for the first time, to India. The negotiated hardwood chip export price in Australia has fallen the past two years in both Australian and US dollar terms because of lower demand from Japanese pulp mills, increased availability of chip supply from Vietnam, and unwillingness on the part of Chinese pulp companies to pay elevated prices for higher-quality Eucalyptus wood chips. Chinese chip buyers are currently paying about 30 dollars less per odmt for Eucalyptus chips than what Japanese chip buyers do, according to the WRQ (www.woodprices.com). Despite the lower price, export volumes to China went up in 2013 and were 85 percent higher than in 2012. In the 1Q/14, Australia supplied approximately 27 percent of China’s total import volume of hardwood chips, up from only seven percent during the same quarter in 2012. Despite the encouraging outlook for increased chip exports to China and India in the coming years, the biggest challenge for Australian chip exporters is to be able to raise the prices for chips to China and to close the wide price gap with Japanese-bound chips. NEW regulation means invasive native species and timber by-products currently made into pulp for paper production, will instead be burnt to generate electricity. Minister for Resources and Energy Anthony Roberts announced changes to the Protection of the Environment Operations (General) Regulation allowing two additional types of biomaterials to be used for energy. Invasive native species, the tree heads and offcuts of trees cut for sawlogs and trees that might otherwise be made into pulp will be used. 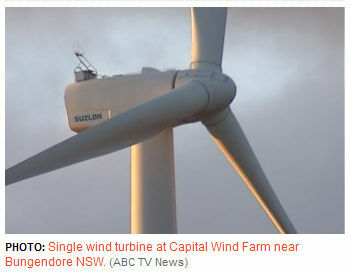 “The new regulation is in line with the NSW Renewable Energy Action Plan to remove barriers to renewable energy production,” Mr Roberts said. “The Regulation has been designed to ensure that there is no increase in the intensity of clearing or logging. The move has drawn criticism from both the Greens and Labor who say they will seek to stop the action when the chamber resumes as it was an "attack on the environment". Mr Roberts said the Environment Protection Authority (EPA) will require all private electricity operators to keep a detailed record of the amount of biomass they receive and burn and where this material comes from. “The Forestry Corporation of NSW will publicly report on its website the volumes and areas where biomass is sourced from State Forests,” he said. “This information will be reported on an individual State Forest basis, with the requirement to report formalised in the Integrated Forestry Operations Approvals (logging licences). Minister for Western NSW Kevin Humphries said the changes will provide the opportunity for Western NSW to become a leader in the development of renewable energy. “In addition to the significant environmental benefits these changes will bring, they will also help to support a viable biomass industry that will bring jobs and investment into Western NSW,” Mr Humphries said. The Land reporters will be travelling to the State's Central West this week to get reaction from this announcement, interview Mr Humphries and to take a closer look at the Native Vegetation Act. The Tasmanian Tamar Valley pulp mill has no investors interested in developing the controversial project, anti-mill campaigner and businessman Geoff Cousins says. The multi-billion dollar mill was first proposed a decade ago but has been plagued by some of the largest protests in Tasmanian history over environmental concerns and the collapse of the original proponent, former timber giant Gunns. Administrator KordaMentha is trying to sell the permit and the Tasmanian Government recently passed special legislation designed to shore it up. The pulp mill is at the forefront of the March state election campaign, with Premier Lara Giddings using the Greens' opposition to the mill as justification for dropping the party from minority government. Environmentalists are concerned the chemicals involved in the pulp mill could cause air and water pollution, poison marine life and damage quality of life for locals. But the mill's supporters say it will be world's best practice and create hundreds of direct jobs in Tasmania, which has Australia's highest unemployment rate. KordaMentha has said publicly it has six investors interested in the mill but some only want the land and associated assets. However, Mr Cousins met with senior KordaMentha staff handling the sale process, partner Bryan Webster and director Antony Munro, and said they confirmed there is no serious bidder. "They said they didn't know (if there is)," Mr Cousins said. "That they had no way of knowing whether there were and they could not know until the end of March when bids are finally due to come. "There's no mill there (in the Tamar Valley) and there isn't ever going to be one there." Mr Cousins's claims appear to back a report in The Australian newspaper that the only serious bidder for the pulp mill has withdrawn. As a former adviser to John Howard and with decades of corporate experience, Mr Cousins is not surprised. "There aren't many companies in the world or governments these days who do get involved in this kind of issue that is likely to tarnish their reputation and has all these risks attached," Mr Cousins said. However, in a statement KordaMentha said there was still "potential" that one of the bidders may be interested and they would not know until the deadline for bids expires on March 31. The pulp mill has been given new life by Ms Giddings, who has acknowledged she recalled parliament and passed new legislation at the request of KordaMentha. The legislation extended the mill's permit to 2017, killing off a legal challenge and removed a key clause that suspends operations if the mill breaches environmental conditions. But the administrator also revealed they were sent a draft of the legislation by the Premier's office to approve before it was tabled in parliament. "For the Government to be doing that is really quite shameful," Mr Cousins said. "They had a meeting with the Premier and (at) that they asked to see the draft legislation and that in a matter of days it duly arrived, something rather outside my long corporate experience. "The process was corrupt in my view and I use that word very intentionally." The Deputy Premier, Bryan Green, has denied the allegations. Mr Green says KordaMentha received a copy of the legislation on the day it was released publicly. "KordaMentha received the legislation on the same day as it was released publicly, on 21 January, along with other stakeholders including members of the Legislative Council," Mr Green said. "It is a nonsense to suggest KordaMentha was sent this legislation to approve. It received it the same day as everyone else." According to Mr Cousins, it is another dark chapter in the pulp mill's controversial history. In 2007 Gunns withdrew from the independent assessment process and the former Lennon government stepped in, scrapping public hearings, which resulted in Gunns receiving its permit. "(It) continues the long history that successive Tasmanian governments have had in the Gunns matter, trying always to stitch up some deal, behind closed doors instead of allowing this to be done publicly," Mr Cousins said. KordaMentha has confirmed it received the draft legislation from the Premier's office but has said it did not request any further changes to the legislation. The cost of the project, last priced at $2.5 billion, was also discussed, but it has blown out further. "They said 'yes, it would be a lot more (than $2.5 billion)'," Mr Cousins said. "So you're talking about $4 (billion) to $5 billion, something of this kind. "There are other places in the world where you can make those investments with much greater certainty and without all of this controversy." Economist Dr Richard Denniss from the Australia Institute is not surprised and does not believe the mill will ever be built. "The longer this drags on, the dearer it gets to build and the lower the world pulp prices are," Mr Denniss said. "I really just don't think that a private investor is going to be willing to put their own hand in their own pocket to build such an expensive project. "The dollar would probably have to fall back below 70 cents before this project would even have a starting chance." There are also concerns the global pulp market is already over-crowded. "There is a potential bloodbath in the pulp industry," Mr Denniss said. "The independent forecasters are suggesting that there is an oversupply, a wave of oversupply as they put it and that large losses can be expected." However, the mill's supporters say the economic benefits mean it must go ahead immediately. They claim it will rake in $10 billion for the struggling local economy and create 3,000 indirect jobs. Graeme Elphinstone's company builds logging trailers in the regional East Coast town of Triabunna. "We had 350 log trucks on the road here in the height of the logging industry so [it's] probably fair to say you'd see another 200 trucks back on the road and that'd be very good for our future," Mr Elphinstone said. "We certainly need some bigger industry in the state or otherwise we'll continue to go backwards and we're obviously not supporting ourselves now." Rebecca Duffy's vineyard is just one kilometre from the pulp mill site and she says the uncertainty over the future of the mill is an ongoing concern. "It's over a decade that we've been living with this pretty much on our doorstep, so certainly we've just about had enough of it," Ms Duffy said. 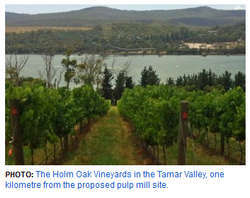 Ms Duffy's winery Holm Oak is one of 12 in the Tamar Valley that have joined forces, writing to Tasmania's major political parties calling on them to abandon their support for the mill. Her greatest concern is that the pulp mill will discharge an odour so repulsive it drives customers away. Gunns denied the mill will smell, but some experts say the chemicals used in kraft pulp mills can smell like raw sewage. "I've heard that it can be quite bad so that's certainly a major issue for us having our vineyard so close and also our cellar door so close," Ms Duffy said. "If that happens, then certainly we're going to have major problems on our hands." Ms Giddings has dismissed the environmental concerns arguing that safeguards remain in place. "It's just not true that we will poison the air and kill people or we will poison the water and kill fish," Ms Giddings said. "Why else do you think we have a permit that is that big and thick?" Ms Giddings believes that if the pulp mill is not built in Tasmania, it will be built somewhere else. "We do not want export our jobs to Central America or to China off the back of our plantation timber," she said. KordaMentha is continuing with the sale process which finishes on March 31, after Tasmanians vote in the state election, and there is no way for the company to know before voting if there is a legitimate investor. Mr Cousins lead a corporate campaign against potential backers of the mill in 2007, warning off investors and financiers. He says if an investor emerges at the last minute, he will re-start his crusade to stop the project. "We won and if somebody now tries to reverse that decision, you will see social unrest in Tasmania greater than the Franklin River," he said. Tasmania's Deputy Premier Bryan Green has denied the allegations. Mr Green says Korda Mentha received a copy of the Legislation on the day it was released publicly. He says other stakeholders including the Legislative Council were also provided a copy of it that same day. Norske Skog has separately entered into new long-term supply agreements for newsprint and improved grade paper with the Australian media groups News Limited and Fairfax Media Limited. Both these customers had existing supply agreements with Norske Skog that were due to expire in June 2015 that have been replaced by new agreements that run until the middle of 2020. Norske Skog has a long history of supplying both News and Fairfax with the majority of their newsprint and improved grade paper under long term contractual arrangements. The contracts have delivered benefits to both Norske Skog and it's customers through security of supply and demand with stable pricing. - "This is a very important agreement for the Norske Skog group and we are happy for this confirmation of our position as the preferred supplier of newsprint and improved grades to the most influential media players in Australasia. These agreements gives us the opportunity to cooperate closely with these customers; and thus, intensify the effort to reduce costs in the value chain," says CEO of Norske Skog, Sven Ombudstvedt. -"The combined estimated value of the new agreements over their full term is approximately NOK 9 billion. Norske Skog has worked separately with both News and Fairfax during 2013 to develop mutually beneficial agreements that secures Norske Skog's business with News and Fairfax beyond 2015", says Andrew Leighton, Regional President of Norske Skog Australasia. - "These agreements are securing our newsprint and improved grade market share in Australia and New Zealand until 2020. At the same time, these agreements will also limit our future foreign exchange rate exposure in Australia and New Zealand", says the CEO of Norske Skog Sven Ombudstvedt. News Limited and Fairfax Media Limited are Norske Skog's largest customers in Australasia. In 2013 these customers represented approximately 70% of the newsprint and improved grade market in Australasia. The pulp mill permit granted to Gunns is currently 'on the market' via the failed businesses' receivers, KordaMentha. Wind farm proponent, Tamar Valley Renewables Pty Ltd is seeking to put in a bid with KordaMentha for the Longreach pulp mill site. Tamar Valley Renewables director, Martin May, says the company is genuine about developing a wind farm at the proposed pulp mill site in the Tamar Valley. He says it would benefit the local economy and create jobs for the region, and fit with the state's clean green brand. But Martin May says when it comes to money, Tamar Valley Renewables' bid would be lower than any pulp mill proponent would make. "We won't be looking to pay the same sort of price as someone who's looking to develop this site for a pulp mill would be," he said. "But then again, we're looking to build long-term sustainable businesses and we won't be polluting the environment to under pin those higher prices either. "Hopefully they're taking us seriously, but we're at a different level and a different type of interest." As receivers and managers of the Gunns group of companies, Mr Bryan Webster and Mr Mark Korda of KordaMentha, are today commencing an expression of interest (EOI) process for the Tasmanian forestry assets controlled by the group. The assets include 175,680 hectares of freehold land and road infrastructure, 96,850 hectares of premium hardwood and softwood plantations, a fully operational forestry services business that employs and contracts over 150 people and the opportunity to develop the proposed Bell Bay pulp mill. Gunns was placed into administration on 25 September 2012. Mr Webster and Mr Korda were subsequently appointed as receivers and managers by Gunns’ secured lenders. Mr Webster said the sale was an excellent opportunity for interested parties to acquire a globally-significant, renewable plantation fibre resource together with associated infrastructure and the opportunity to develop a pulp mill. The assets are well positioned to meet growing Asian woodchip and pulp demand. “We believe there is significant value in the assets and to date there has been considerable interest in the various assets that are the subject of the EOI process” he said. The plantation and landholding assets divestment is one of the largest of its kind in the world. EOI’s are due by the end of the year. Receivers of the failed Tasmanian timber company Gunns have confirmed the sale of the Tamar Valley pulp mill project may be delayed by a few months. 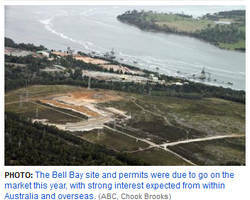 The Bell Bay site and permits were due to go on the market this year, with strong interest expected from within Australia and overseas. Spokesman Mike Smith says Gunns' receiver KordaMentha will now await the outcome of a State Government audit of plantations that could feed the mill. The Tasmanian Greens MP Kim Booth says he does not understand why the inquiry is needed. "It's staggering that KordaMentha are now saying that Gunns don't even know how many trees there are given they'd gone out and sold this project to the world as a turn-key ready operation with enough trees in the ground to run it as a plantation based mill," he said. Contract signing between Australian Paper and Metso for mill maintenance management at Maryvale Mill. 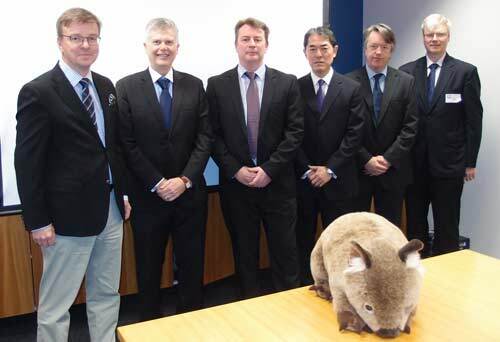 Pictured are (l to r) Jukka Koiranen, Director, Mill Maintenance, Metso; Jim Henneberry, CEO, Australian Paper; Pierre de Villiers, Vice President, Sales, Australia and New Zealand, Metso; Hirofumi Fujimori, Representative Director, Australian Paper; Peter Williams, CFO, Australian Paper, and Markku Salo, Manager, Sales and Global Operation Development, Mill Maintenance, Metso. Metso and Australian Paper have signed a multi-year agreement for Metso to manage the mill maintenance operations at the Maryvale Mill in Victoria, Australia. Metso will manage all maintenance systems and procedures at the mill and be responsible for optimizing maintenance costs and developing maintenance quality. The agreement became effective on June 1, 2013. The value of the agreement will not be disclosed. The Maryvale Mill has three pulp lines, five papermaking machines, an elemental chlorine free bleach plant, pulp lapping machine, finishing facility and a waste paper processing plant. The objective of the agreement with Metso is to achieve world-class maintenance standards at the Maryvale Mill. Metso will assist Australian Paper with the skills development of maintenance staff and employees, as well as with improved planning and productivity. Metso’s mill maintenance model optimizes the use of Total Productive Maintenance (TPM), Metso's streamlined reliability centered maintenance (Applied RCM) and condition-based maintenance. 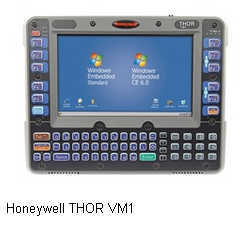 The model ensures the highest possible equipment efficiency and cost optimization. "We are pleased to announce Metso will be our Alliance partner to work with Australian Paper to achieve world-class maintenance," says Jim Henneberry, CEO, Australian Paper. "Metso is a world-class maintenance supplier and original equipment manufacturer to the pulp and paper industry globally. Their significant worldwide expertise and professionalism will greatly benefit our operations at Maryvale." “Through common goals, true cooperation and leveraging one another’s strengths I am confident we have the foundation to achieve sustainable success at the Maryvale Mill. This agreement reinforces our position and marks another significant milestone in growing our Services business,” says Pierre de Villiers, Vice President, Sales, Australia and New Zealand, Pulp, Paper and Power, Metso. Australian Paper is Australia's largest manufacturer of fine papers for print and office applications and produces high-quality packaging papers. Australian Paper employs over 1,400 Australians and supplies more than 500,000 tonnes of product within Australia and around the world. Australian Paper is part of Nippon Paper Group that consists of approximately 180 affiliates and related companies. The Maryvale Mill is Australia's largest integrated fine paper-making and packaging papers complex, producing more than 500,000 tonnes of paper every year. A Gunns woodchip mill in northern Tasmania has reopened, two years after it closed, on the back of new contracts with Japanese customers. 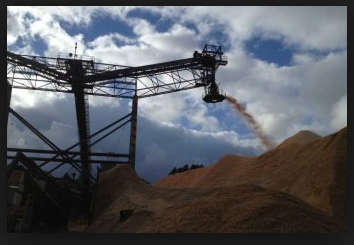 The Gunns mill at Long Reach, near the fallen company's proposed pulp mill site in the Tamar Valley, will supply 500,000 tonnes of plantation woodchips by March next year. In a rare piece of good news for the ailing Tasmanian forestry sector, receivers KordaMentha have hired more than 100 contractors to work the plant. KordaMentha's Bryan Webster says 10 shiploads to Japan have been locked in and up to $3.5 million will be injected into the state's economy. But he warns a resurgence in forestry is still a way off. "I'd like to say it is a turnaround but I don't think it is," he told AAP. "I think it's just a renewed focus by ourselves to make sure we're preserving the value of the business that's there and not letting it ebb away." Mr Webster said it was crucial that the state's forestry skills were not lost forever. "There's not a lot of money being made out of this but what I'm worried about is, if I shut down the whole of Gunns from a woodchipping perspective, there's going to be so much of a brain drain and a skill drain from Tasmania," he said. Eucalypt plantations currently could supply the mill for up to 15 years and longer if re-planting occurred, Mr Webster said. Two Gunns sawmills and a range of equipment have already been offloaded by the receivers but the big ticket items remain the permit for the proposed $2.3 billion pulp mill, the woodchip mills and 40,000 hectares of plantations. They won't go onto the market until the status of Gunns Plantations Ltd managed investment schemes is clarified by court action. Mr Webster said interest from potential buyers in the pulp mill permit was strong, even before it had been advertised. Funding for a major study into the future strategic needs of the forestry industry in the State's south-east has been boosted to more than $1 million. Manufacturing Innovation and Trade Minister, Tom Kenyon today announced a further $330,000 was being provided by the State Government for Stage 2 of the Cellulose Fibre Chain Study with the federal government committing another $250,000. "This is on top of a $500,000 contribution from the State Government in October last year for Stage 1 of this vital study," Mr Kenyon said. "The south east forestry industry accounts for approximately 35 percent of local employment and offers great potential for the region to secure a sustainable economic future. "The Cellulose Fibre Chain Study - part of the State Government's Manufacturing Works strategy - involves working with local industry to identify short, medium and longer term sustainable and achievable market opportunities. "This is an important project for South Australia's economy as developing higher-value forestry products is the key to creating a sustainable future for the forestry industry. "That's why we went out and actively sought the involvement of the VTT Technical Research Centre in Finland. "They're world leaders in translating cellulose fibre opportunity research into tangible business opportunities with global connections to major international cellulose fibre players and investors." Mr Kenyon said the VTT's Stage 1 report released today included analysis of the value chains associated with the south east forestry sector and the landscape for future opportunities based on interviews with more than 20 industry groups. Federal Minister for Industry and Innovation, Greg Combet said he was pleased to support the study which could prepare south east South Australia to compete internationally in the forestry industry by producing niche, high-value products of its own. "This project presents a great opportunity to develop an innovative, renewable feedstock for industry in South Australia," Mr Combet said. "We've seen examples of the benefits of an innovative cellulose fibre value-chain in Northern Europe, so I look forward to supporting South Australian companies interested in working towards that. "The Federal Government is proud to be funding this initiative with the South Australian Government and we will continue to support local innovation and local manufacturing jobs in SA's south-east." • A more highly trained workforce is necessary to improve industry profitability. Mr Kenyon said the additional $580,000 funding for Stage 2 would enable the VTT to develop a plan for producing more sustainable and higher-value products. "This will involve an analysis of local industry readiness to take up new technology, consultation with the industry globally, particularly in Northern Europe, preparing a draft agenda for joint research and development projects and policy recommendations to State Government." The Metso-supplied complete containerboard production line B9 with an extended scope of supply project implementation for Amcor Packaging (Australia) Pty Ltd successfully came on stream on October 16, 2012 at the company’s Botany mill in Sydney, Australia. The production line was officially opened in an inauguration ceremony held on February 1, 2013. The new 6.25-m-wide B9 machine, the ninth paper machine to operate at the Botany site, has an annual production capacity of approximately 400,000 tonnes of high-quality 100% recycled testliner and fluting grades in the basis weight range of 80 to 200 g/m2, from wastepaper collected throughout the Sydney region. The design speed of the machine is 1,600 m/min. The B9 production line produces savings in energy, solid waste and water use per unit of paper production and improves the environmental performance of the mill. Metso’s delivery included an OCC (old corrugated containers) pulping line and a complete OptiConcept boardmaking line from headboxes to reel with a stock preparation system, air systems, chemical systems and a high-capacity winder and a roll handling system. A comprehensive Metso DNA automation package comprised process, machine and quality controls and machine condition monitoring. In addition, Metso’s extended scope of supply included complete mill engineering and electrification, and installation and supervision services related to commissioning, testing and start-up. Metso also provided training services for the project. The partnership between Metso and Amcor includes an agreement for the supply of mill maintenance services for the B9 boardmaking line. With the multi-year mill maintenance agreement Metso assumes full responsibility for the establishment of maintenance operations, mill maintenance services and the management of improvement projects for the stock and paper production facilities and for the mill utilities at the Botany mill. Amcor Packaging (Australia) Pty Ltd is part of Amcor Limited. Amcor Limited is a global packaging manufacturer offering a broad range of plastic, fibre, metal and glass packaging products, along with packaging-related services. It has annual sales of approximately EUR 9 billion and it employs over 30,000 co-workers at more than 300 manufacturing sites located in 40 countries. The Board of PaperlinX is pleased to announce the following appointments which have been made after careful consideration of the needs of the business, the Company’s legacy management issues and the challenging business environment faced by our business, particularly in Europe. Mr David Allen who was acting as the Interim Chief Executive Officer since August 2012 has been appointed as PaperlinX’s Chief Executive Officer effective today. Mr Allen joined PaperlinX in 2004 and previously served as Managing Director of the Robert Horne Group in the UK and subsequently as Executive Vice President of PaperlinX with responsibility for the UK, Ireland and Canada. Mr Allen’s earlier background was in corporate and product strategy, sales and marketing and general management in a range of sectors including abrasives, industrial diamonds and automotive with Saint- Gobain, Unicorn international and the Rover Group. Mr Allen’s remuneration comprises a fixed component of £420,832 which may be increased to £450,774 on 1 July 2013, subject to meeting certain financial criteria. The short term incentive (“Incentive”) for Mr Allen under the PaperlinX incentive plan comprises both cash and equity component. The Incentive is based on 50% EBIT, 25% Return on Funds Employed and 25% Special Projects. The maximum annual reward of up to a 100% (75% equity and 25% cash) will only be paid if outstanding performance is achieved by both PaperlinX and Mr Allen, and the percentage will be pro- rated as appropriate. In addition, the Incentive will not be paid if certain specific safety targets are not met. The equity component is deferred for a further two year service period following measurement of performance and reward is provided in the form of shares in PaperlinX Limited. Mr Allen’s employment arrangements do not contain a fixed term and can be terminated by PaperlinX on 12 months’ notice or payment in lieu of notice. His employment may be terminated immediately and without notice on the grounds of misconduct, dishonesty or breach of duty. Mr Allen can terminate his employment on 6 months’ notice. Financial Officer for the PaperlinX Group effective today. Mr Smallenbroek, a resident of The Netherlands, joined PaperlinX in 2004 and is currently Corporate Finance Director for PaperlinX Europe, leading Treasury, Tax and M&A functions in that area. His earlier background was as an international tax adviser with Coopers and Lybrand (now PwC) and Ernst and Young. on the Company’s under-performing businesses in that region. “Mr Smallenbroek has a thorough understanding of the issues facing our business and has exhibited the qualities, which this Board believes, are necessary to return our business to profitability,” said the Chairman. Mr Andrew Price will continue in his role as Executive Director to assist the Executive team in restructuring for the foreseeable future. Australian Paper has announced that its parent company Nippon Paper has approved the construction of a $90 million paper recycling plant at its Maryvale Mill in Victoria, Australia. The plant will consume around 80,000 metric tons of recovered fiber per year to produce 50,000 metric tons of deinked pulp per year. “Australian Paper is delighted to confirm this important investment in sustainable manufacturing following an extensive feasibility study. The Maryvale recycling plant will secure Australian Paper’s position as the market leader in premium recycled paper and is a positive initiative for our local environment, jobs and the community,” says Jim Henneberry, CEO of Australian Paper. According to a release, the new plant will triple Australian Paper’s use of recycled fiber and will enable the development of a range of new Australian-made recycled office, printing, envelope and stationery papers. The $90 million recycling plant will begin construction shortly, with production to commence in early 2014. “We are proud of this investment in sustainable Victorian manufacturing and would like to acknowledge the strong support we have received from a broad range of stakeholders including our customers, unions, the Latrobe City Council, environmental groups and a range of business and community stakeholders. In particular, we thank the State and Commonwealth Governments and Low Carbon Australia for their support and for sharing our vision to make this investment possible,” Henneberry adds. Australian Paper notes that an economic impact report, prepared by Western Research Institute, calculates that the company’s total operations supported around 6,000 jobs and contributed more than $750 million to the Australian economy in 2011. Norske Skog will convert a machine at the Boyer mill in Australia to the production of coated grades, and close one newsprint machine at the Tasman mill in New Zealand. - We are committed to the future in Australia, and we therefore invest AUD 84 million. With substantial funding support from the Australian government, we strengthen the operations at Boyer. This will create future growth opportunities for the Norske Skog group, said Norske Skog President and CEO Sven Ombudstvedt. The machine conversion project will see AUD 84 million invested at Norske Skog's Boyer Mill in Tasmania over the next two years to enable the production of coated grades among other things suitable for catalogues. The Australian Federal Government will contribute AUD 28 million in grants to help fund the project, and the Tasmanian State Government is providing an AUD 13 million loan. Completion is targeted for the first quarter of 2014. - The permanent closure of 150,000t of capacity at the Tasman mill in New Zealand is required to create a better balance between demand and supply for newsprint in the region. There is today considerable surplus capacity of newsprint in the region. Despite years of great efforts of the staff, the decision is unfortunately unavoidable. The implementation arrangements and timeframes will be subject to consultation with employees and other stakeholders, Mr Ombudstvedt said. The final costs of the restructuring will be determined once the consultation process at the Tasman mill is completed. Outotec has successfully completed the acquisition of Australian-owned TME Group. TME is a mining services company with offices throughout Australia and in South Africa. The parties do not disclose the acquisition price. The transaction was announced on July 10, 2012. TME provides grinding mill relining and mineral processing plant maintenance services to customers mainly in Australia, Africa and South East Asia. With annual sales of approximately EUR 35 million, TME has 130 permanent employees and a large casual labor workforce. With the acquisition Outotec aims to accelerate its service business growth. "Our target is to grow our global annual services sales to EUR 500 million by 2015. This acquisition will expand our offerings and strengthen our capabilities to provide Operation and Maintenance services to our customers in the mining and metals industries in the South East Asia Pacific region, Africa and beyond", says Pertti Korhonen, CEO of Outotec. - to sell its loss-making operations in South Africa to local management. Net proceeds of ZAR50m (A$6m) will include A$3m repayment of parent company funding and A$3m purchase consideration for the shares, representing a loss of approximately A$2m against book value. 4. substantially reduced corporate overhead expenses. In accordance with the terms of Mr Marchant’s employment contract and the limits imposed by the Corporations Act, Mr Marchant will receive a termination payment of 12 months total fixed remuneration in lieu of notice, plus statutory entitlements such as outstanding annual leave. 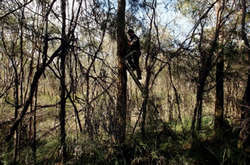 Australian Forestry Standard Limited (AFS Ltd) has announced the commencement of the first public comment phase of the revision process of the Australian Standard for Sustainable Forest Management(AS 4708), scheduled from 19 March to 18 May 2012. The Standard Review Committee has already distributed the draft revised standard to a broad range of stakeholders in forest management seeking their comments. The Committee is seeking additional public comment on the draft standard via two public comment periods. In addition to this first public comment period, a second period will be based on a revised draft and is currently scheduled to be undertaken from June to August 2012. "The Australian Forestry Standard is recognised as a world class standard and regular review and improvement is required to maintain this recognition," said the Chairman of the Standard Review Committee, Dr Paul Biggs. "The Committee is made up of a broad range of interested and affected stakeholders and they are keen to get public feedback on the draft Standard to compare with their own views on how the Standard can be further improved," he added. The Australian Forest Certification Scheme, of which AS4708 is a key component, is endorsed by the Programme for the Endorsement of Forest Certification (PEFC). PEFC is the world's largest certification system for sustainable forest management and, as the only global forest certification system, requires and implements regular revisions of all endorsed standards every five years. PEFC's Sustainability Benchmarks have also continued to evolve in recent years and the Standard Review Committee has sought to ensure that the revised Australian Standard (AS4708) continues to be consistent with PEFC requirements. The intensive public participation plan for the project is fully engaging all stakeholders groups and interested parties within and connected to sustainable forestry and the supply chain of wood and wood products. Couple this with rigorous adherence to international processes and guidelines, as well as an emphasis on science and evidence, this review project will ensure that this internationally recognised Australian Standard continues to be regarded as the most credible and robust forest certification tool. The draft revision of the Standard and a submission form can be downloaded from theAFS Ltd. website. Bluewater Energy Services in Hoofddorp, the Netherlands, has placed an order with Siemens Industry Automation Division for supplying a pump skid that features Brise dissolved gas flotation (DGF) technology. The skid is part of the produced water system on the Glas Dowr, which is a floating production storage and offloading unit (FPSO). The FPSO has been relocated to the Kitan field in the Joint Petroleum Development Area, offshore East Timor, Australia. The Brise DGF pump technology from Siemens has been installed on an existing degassing tank for the upgrade to the produced water treatment plant of the Glas Dowr. The Brise DGF technology helps optimize gas bubble size for the flotation process, which in turn yields improved capacity and efficiencies. It also saves required chemicals and offers end-users maximum flexibility because the bubble sizes can be instantly adjusted to meet requirements. The DGF technology can be used with new flotation units, existing systems, and as part of an upgrade or retrofit. Siemens has completed more than 200 retrofits/upgrades successfully on a wide range of Siemens equipment as well as that of third parties - equipment such as skimmers, degassers and mechanical flotation tanks. Using the DGF technology results in substantial savings for end-users, due to improved efficiency of existing equipment. Depending on how complex the equipment is, necessary adjustments can be made and recommissioning done within a few days. This makes the Siemens technology a more cost- and time-effective alternative to completely replacing the system with new equipment. Brise is a trademark of Siemens and/or its affiliates in some countries. SCA has now completed the previously announced transaction of creating a joint venture in Australasia. The joint venture is formed through the sale of 50% of the SCA operations in Australasia to the Australian-based Pacific Equity Partners (PEP). The finalisation of the transaction follows approval by the relevant authorities. SCA has decided to form a joint venture partnership for its existing operations in Australasia with the Australian company Pacific Equity Partners (PEP). SCA and PEP Fund IV will each hold 50% of the company. Working with local partners and in joint ventures in selected markets is a strategy that works well for SCA. This deal in Australasia enables a more efficient financing as well as it increases the speed of development of the operations. SCA’s operations in Australia, New Zealand and Fiji employ about 1,500 people. In 2010, this business had net sales of SEK 4,400m, with some 70% related to tissue and some 30% related to personal care products. In the region, SCA manufactures and markets a number of leading brands including TENA, Tork, Sorbent, Purex, Libra, Treasures, Deeko and Handee Ultra. The transaction involves a deconsolidation of the business, which will be financially reported as a joint venture according to the equity-share method. In connection with the refinancing of the business and the divestment of 50% of the equity, SCA will receive SEK 3,200m. Also, there will be a SEK 700m write-down of the tangible book value, which will impact the result in Q4 2011. “This deal strengthens our operations in Australia and New Zealand, and it secures our access to local competence and the local capital market. This enables a faster development of the operations”, says Jan Johansson, President and CEO of SCA. The deal will be subject to approval from relevant authorities. Closing is expected to happen within two to three months. Geoff Gorrie, Chair of Australian Forestry Standard Ltd, announced today that Richard Stanton had been appointed as the National Secretary of Australian Forestry Standard Ltd.
"Richard will take up his new role on 11th October 2011 and his main focus will be the oversight of the revision processes for both the Australian Forest Management Standard AS 4708 and the Chain of Custody Standard AS 4707 as well as continuing the growth of the company." "Richard is well qualified to lead the company through its next stage of growth and development. He has been involved in the forest and wood and paper products industries for many years. He comes to this new leadership position from an extensive term as the Chief Executive Officer of the Australian Plantation Products and Paper Industry Council (A3P). Richard also has experience at both the State and Australian Government levels." "The Board of Australian Forestry Standard Ltd looks forward to working with Richard to continue to promote the benefits of certification both in Australia and internationally through the company's accreditation by the Programme for the Endorsement of Forest Certification Schemes." Geoff Gorrie also wished to express the Board's appreciation of the efforts and achievements of the parting Chief Executive Officer, Kayt Watts. "Kayt has worked tirelessly to promote the Australian Forestry Standard brand and develop the company. The growth in Chain of Custody certification in Australia and the resulting logo licence agreements to display certification logos on wood and paper products over the last three years has been remarkable. The company's management systems and governance are on a sound footing for further growth and development." The Board would like to wish Kayt well in any endeavour that she commences when her contract expires on 12th October 2011. SCA in New Zealand has now been supplying the Scott Base on Antarctica with Tork hygiene products - such as toilet tissue and hand towels - for 10 years. The company has retained the Antarctica contract because Tork products perform well and adhere to the strict requirements of the Scott Base. “Using New Zealand-made products from a sustainable and renewable source is important to our operation and SCA products fit well in this area,” says Michael Nottage, procurement officer for Scott Base. He said SCA originally won the contract on its environmental profile and trusted quality brand along with the company’s compliance with the New Zealand government’s sustainable procurement initiative. 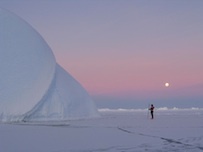 The Scott Base mainly provides services and accommodation for research parties. The selection of products and tissue is carried out carefully to help reduce waste and storage. The Antarctic environment is very fragile and no waste stays on the ice: instead it is shipped back to New Zealand for recycling or disposal. The base also has its own wastewater treatment plant so all products need to be highly degradable. All supplies to the Antarctica base – from food and drinks to car parts and toilet tissue – is shipped in only once a year in January from Christchurch, New Zealand. 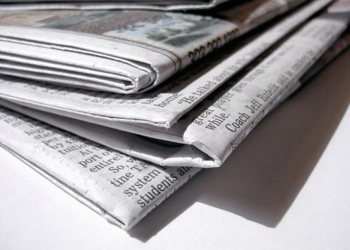 Some 78 per cent of all newspaper in Australia is recycled, a performance amongst the best in the world, according to a report published by the Publishers National Environment Bureau (PNEB). The report also outlined that one of the success stories of Australian newspaper recycling has been the volumes of newsprint diverted from landfill. Since 1990, the amount of newspaper sent to landfills has dropped dramatically from 367,824 tonnes to 144,685 tonnes, that’s 39 per cent of the waste previously not recycled. A statement from the PNEB says, “We estimate that the total waste stream to landfill has actually risen considerably over that time, from 12.3 million tonnes in 1990 to about 22.45 million tonnes in 2002 and close to double that in 2009. Metso and Amcor Packaging (Australia) Pty Ltd have executed an agreement for the supply of mill maintenance services for Amcor’s Botany mill B9 board making line in New South Wales, Australia. The value of the agreement will not be disclosed. The B9 containerboard production line at the Botany mill will be supplied by Metso and it is scheduled to start up in mid 2012. This main order for the line was received from Amcor and published in 2008. With this multi-year mill maintenance agreement, which became effective as of July 12, 2011, Metso will assume full responsibility for the establishment of maintenance operations, mill maintenance services and management of improvement projects for the stock and paper production facilities as well as the mill utilities at the Botany mill. The Metso mill maintenance model optimizes the use of proactive, condition-based maintenance and is based on Metso's streamlined reliability centered maintenance (RCM). The model ensures the highest possible equipment efficiency and cost optimization. Amcor Packaging (Australia) Pty Ltd is part of Amcor Limited. Amcor Limited is a global packaging manufacturer offering a broad range of plastic, fibre, metal and glass packaging products, along with packaging-related services. It has annual sales of about EUR 9 billion and 35,000 employees worldwide, through more than 300 manufacturing sites it operates in 43 countries. The plantation ownership in Australia is in transition after the Management Investment Scheme (MIS) collapsed in 2009, reports the Wood Resource Quarterly. Foreign pension funds and pulp companies have shown increased interest in acquiring timber assets as forest plantations owners have gone into receivership. million hectares (ha) to about 1.9 million ha, with Eucalyptus being the preferred species planted. At that time, MIS companies managed about 75 percent of the hardwood plantations and six percent of the softwood plantations. Since 2009, a number of MIS forest companies have gone into receivership, including the FEA Group, Great Southern Plantations, Environinvest, Willmott Forestry and Timber Corp. There are reportedly a number of timber companies and investors showing interest in taking over the management responsibility of the MIS schemes. Unexpectedly, an investment company in the province of Alberta, Canada, recently announced it would acquire 240,000 ha of timber assets from the largest MIS company, Great Southern Plantations. The institutional investment company, AIMCo, which invests globally on behalf of pension and government funds, will partner with the Australia New Zealand Forest Fund. The new ownership may create a more stable long–term supply source for forest and energy companies located in Asia. There is continued interest from foreign investors both to acquire pulp mills and forest plantations. The latest development is the Singapore-based pulp company APRIL, with pulp mills in Indonesia and China, which is considering the purchase of forest plantations and export chip loading facilities. The intention would be to export Eucalyptus wood chips to the company’s pulp plant in Rizhao, China. Plantation Eucalyptus log production in the 1Q/11 was significantly higher than the same quarter last year. This development came at the same time as availability of roundwood and wood chips from natural forests declined substantially. Prices for pulplogs have not shifted much the past year in local currency, with plantation hardwood continuing to be about 24 percent higher for plantation wood compared to wood from natural forests. Pine and Eucalyptus pulplog prices, in US dollar terms, have climbed steadily in Australia for almost two years, according to the Wood Resource Quarterly (WRQ). Prices are currently the highest ever recorded since WRQ started tracking Australian prices in 1990. During the past nine years, Eucalyptus log prices have more than tripled, with only Sweden, Spain and Germany currently having higher hardwood pulpwood prices. PaperlinX advises that whilst the Company`s financial results for the 2011 financial year are still to be determined, the Company expects that its full year statutory loss after tax will be within previous guidance, but nearer the A$30M loss advised in that guidance. This includes a substantial non cash valuation loss for a foreign currency option but excludes any possible impairment, if necessary. The Board has approved management undertaking a restructuring process across its global operations which is expected to result in an additional charge of approximately A$14M pre tax (A$10M post tax), which will be included in the 2011 financial result. This additional charge is not included in the guidance referred to above. The intended restructuring is expected to produce annual cost savings of approximately A$17M pre tax in a full year with benefits of approximately A$14M pre tax in the 2012 financial year. The restructuring will be funded from existing cash reserves and working capital facilities. The Company's current forecasts indicate that relevant financing covenants will continue to be complied with. The Company will announce its full year results on 25 August 2011. KBA will cut its workforce by a further 700 in order to restore “competitiveness and profitability” in what it claims, is a much diminished market. At KBA’s annual general meeting, CEO Helge Hansen said big web presses, for print media that compete with online services, are a major cause of concern, with global demand well below pre-crisis levels. Following protracted negotiations with employee representatives in Frankenthal, talks have now started at the other two locations. The measures proposed will reduce the group workforce from 6,377 at the end of May this year, to well below 6,000 at the end of 2013. Despite the cutbacks and drop in web press demand, the company reported a substantial increase in new orders for sheetfed and special presses in the first five months of the year. Even so, preliminary figures to June 1 reveal a leap of 21 per cent in new orders to around €600m and 27 per cent in sales to more than €420m. The order backlog on May 31 totalled €617m, 40 per cent above the prior-year level. This is largely attributable to KBA’s broad product portfolio. Hansen anticipates a similar improvement in the group’s half-year performance. The Board of PaperlinX Limited advises that Mr Tony Clarke has joined the Board as an independent non-executive Director. Mr Clarke has a strong financial background and has held a number of senior finance positions including Chief Financial Officer of Amcor Europe and Finance Director of Pacifica Group Limited. He was recently involved with Centro Properties Ltd in the financial restructuring of that Group. “We are delighted to welcome Tony to the Board. His experience of working in the European paper and packaging industry will be particularly valuable to PaperlinX” said David Meiklejohn, Chairman of PaperlinX Limited. 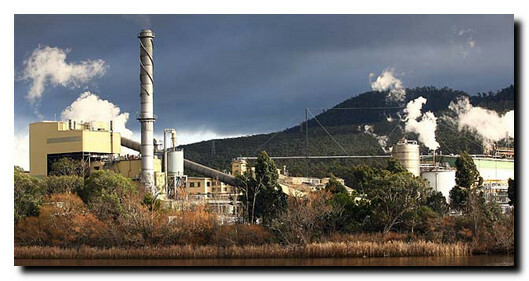 An independent economic assessment of the Bell Bay pulp mill has found that the Tasmanian economy would be close to $10 billion better off as a result of Gunns Limited's investment in the northern Tasmanian mill. The Insight Economics report, Building a Pulp Mill at Bell Bay, released to the public by Gunns today, detailed the economic impact of building and operating the mill, compared to a business-as-usual scenario of the mill not going ahead. It was done in conjunction with Monash University's Centre of Policy Studies, due to the credibility of the centre's regional economic modelling expertise and its independence. • Total value to Northern Tasmanian region (which includes Launceston and the Tamar Valley) would be $3.7 billion and $2.1 billion to the North West region. • Total number of additional full-time jobs created in Tasmania would be 3,100 during each year of operation of the mill, in addition to the existing employment in the industry. • If Tasmania proceeded with the mill, it would provide a substantial buffer for Tasmania against the ‘two-speed' economy generated by the mainland resources boom. Gunns' Managing Director, Mr Greg L'Estrange, welcomed the report and its ability to shed some much needed light onto the importance of the pulp mill to the Tasmanian and regional economy. "The report indicates very strongly that the pulp mill will be the single greatest shot in the arm of the Tasmanian economy in a very long time, and for a long time into the future,"he said. "What this means is that Tasmanians need to think hard about the opportunity that this pulp mill presents. "This report makes it clear that Tasmania has a lot to gain from this pulp mill. The mill opponents believe Tasmania has a lot to lose.I believe we need to ensure we maximize the gains of the project by positively impacting on businesses in Tasmania. It is not about one sector at the expense of another but how to ensure a healthy coexistence of both. This new study has concluded the impact is better than we previously thought, and importantly it provides an enduring economic basis for the whole Tasmanian economy, not just the forestry sector. "This is very important as the resources boom in other States pushes up the exchange rate and threatens to create a two speed economy. Gunns' task is to find a way to secure the enormous economic benefits of the mill and work even harder than we already are to mitigate what some people see as the risks," Mr L'Estrange said. Last week Gunns was granted final environmental approval to build the pulp mill under a stringent state and federal environmental monitoring and reporting regime. It embedded in the permit conditions Gunns' commitment that the mill would source its feedstock from 100 per cent plantation sources. Gunns had made this commitment as a result of negotiations with key Tasmanian environment groups, and followed Gunns' stated withdrawal from native forest logging. "This mill is about jobs. It is about a major boost to the Tasmanian economy, and it is about reinvigorating the economic fortunes of Launceston and George Town as the host community, in particular," Mr L'Estrange said. "The Tasmanian economy needs this mill and the forestry income that supports it, just as it needs its tourist and primary industry economic inputs." Mr L'Estrange said Gunns had also commissioned a study looking at maximising local benefits and minimising potential negative impacts. It was expected to be completed shortly. Metso will supply installation and commissioning services to Amcor Packaging (Australia) Pty Ltd as part of its new machine project for a containerboard line at its Botany Mill in Sydney, Australia. The value of the order will not be disclosed. 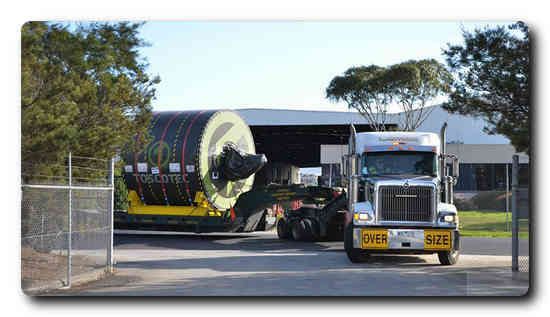 The order is included in Paper and Fiber Technology’s Q1 orders received. The main order for the containerboard line was received from Amcor and published in 2008 and an add-on order for this line was received from Amcor and published in 2010. The new order announced today will comprise the installation of the containerboard machine equipment for the line and supervision services related to commissioning, testing and start-up as well as training services. The installation and services package will complement Metso’s extended scope of supply to Amcor and strengthen the project implementation. The Botany Paper Mill will generate high-quality recycled paper from waste collected throughout the Sydney area. It will produce paper-based products across a wider range of weights and create packaging that is lighter, more efficient and more environmentally friendly. PaperlinX today announced a further streamlining of its management and head office structure with the closure of its European head office in Amsterdam. Together with recent staff reductions at the Corporate Head Office in Melbourne, the closure of the Amsterdam office will result in ongoing cost savings of approximately A$15 million per annum and will be cost neutral in the current financial year. The new arrangements will involve the 2 European regions reporting directly to the CEO and CFO, who will be based at the Operational Head Office in the UK. There are no plans to change PaperlinX's domicile out of Australia. PaperlinX CEO, Toby Marchant said, "This move is consistent with our stated objective of creating a simpler and more cost efficient head office environment with fewer centres and fewer layers. The relocation of the CEO and CFO from Australia to the UK brings our senior management closer to the geographic centre of our operations, given that nearly 70% of our business is in Europe and 90% is in the Northern hemisphere." Continuing progress on its new paper mill in Botany, Amcor has awarded Leighton Contractors the $110m contract for the facility. Under the contract, Leighton will design and construct the paper machine building, waste paper yard, mill offices and control room. Peter Handel, executive general manager of Leighton Contractors’ industrial and energy division said Amcor had become increasingly well known throughout the world for its packaging innovation. 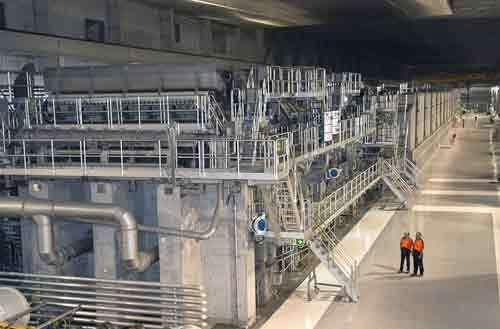 The Botany mill is expected to generate high quality recycled paper from waste collected throughout the Sydney area. It will produce paper-based products across a wide range of weights and create packaging that is light, efficient and environmentally friendly, according to Amcor. Also commenting, Mark Chilcote, general manager of Leighton Contractors’ industrial and energy division said Leighton’s existing knowledge of Amcor’s business, and proven track record in managing a similar project for the company, was a key factor in securing the project. Chilcote says, “Over the past 10 years, we have successfully delivered stages one, two and three of the Amcor glass container manufacturing plant in Gawler, South Australia. 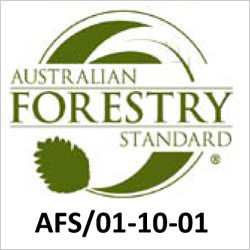 The Australian Forestry Standard Limited (AFSL) announces the commencement of the 5-yearly revision process of the Australian Standards for Sustainable Forest Management (AS 4708) and Chain of Custody of wood and wood products (AS 4707). The revision will be a concentrated and collaborative process spanning 2 years. The intensive public participation plan for the project will fully engage all stakeholders groups and interested parties within and connected to sustainable forestry and the supply chain of wood and wood products. Couple this with rigorous adherence to international processes and guidelines, as well as an emphasis on science and evidence, this review project will ensure that these internationally recognised Australian Standards continue to be regarded as the most credible and robust forest certification tools. Responsibility of the reviews and ultimate decision making powers will reside with Standards Reference Committees (SRC), one for each Australian Standard. SRCs members will consist of representatives who cover scientific, environmental, social, economic and cultural aspects of sustainable forest management and wood production in Australia. Call for nominations from representative national organisations, industries bodies and stakeholders to participate on the SRCs are being mailed out and will be advertised in leading publications. There are many places that need to be filled and AFSL is ensuring that all interested parties are aware of their ability to be involved either on the committee or through public consultation. Mr Geoff Gorrie, Chairperson AFSL stated "we are very pleased with the plan to conduct this revision as it will ensure a wide coverage of topics and criteria, and that engagement with stakeholders and interested parties is a priority. We are also very happy that Dr Paul Biggs has accepted the role as Chair to the SRC for Sustainable Forest Management. Paul has been a leader in Australian forest management for over 25 years, in that time developing a strong technical and scientific background, and greatly suited to this SRC Chair appointment." Kayt Watts, CEO of AFSL said "the revision process involves a public call for comment on both Australian Standards. It will be interesting to see the types of issues and aspects of the criteria of the Australian Standards that will be raised in this process, especially in this ever changing forestry and wood production environment." "AFSL is committed to the revision process which enables a fully transparent and inclusive consultation. We have engaged Fitzpatrick Woods Consulting (FWC) to provide an independent management service to the revision project, especially relating to collaborative stakeholder management and standards revision support to the SRCs," Ms Watts said. FWC is a specialist consulting firm with particular expertise in the Australian and regional forestry and forest products industries and in stakeholder identification and management. Revision of the Australian Standards for Forest Management and wood products Chain of Custody will require significant support from industry, government and all stakeholders. AFSL will soon be commencing engagement with industry partners and the Australian Government to discuss assistance options. Needless to say, the revision process cannot be completed without considerable support. The NSW Government has praised an investment of more than $400m by Amcor Australasia for a new paper recycling facility at Botany. The new facility is expected to be the most advanced and environmentally sustainable mill of its type in the Asia Pacific. The facility will consolidate Amcor's entire recycled paper production for Australia and New Zealand, creating an Asia-Pacific centre for paper making. NSW treasurer Eric Roozendaal said the investment would be the largest proposed capital investment in the 140 year history of Amcor. He says, “Amcor has operated recycled paper machines at its Botany site for 50 years and has a proud history of paper making at the site. But growing international competition saw the Botany Mill facing possible closure with its work being consolidated elsewhere. The new plant will be capable of producing Amcor’s total requirements of cardboard each year from recycled paper. Also commenting, Member for Maroubra, Michael Daley said in addition to supporting the jobs of current employees, the project will create major work opportunities for new mill employees as well as sub-contractors and suppliers. Higher demand for forest products in China, South Korea and India is benefiting log and lumber exporters in New Zealand. The value of exported forest products have increased over 54% in 2010, reports the Wood Resource Quarterly. The strengthening export market has pushed domestic sawlog prices to their highest levels in eight years. 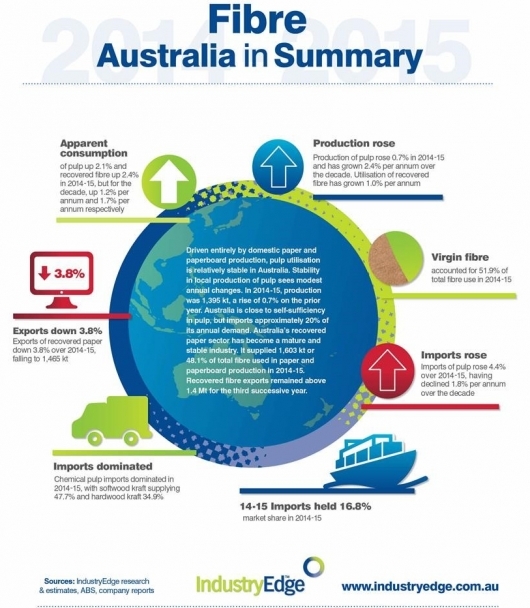 Export of wood chips from Australia is on the rebound, reports the Wood Resource Quarterly. After last year’s ten-year low, shipments so far in 2010 are up 38 percent for pine chips and 12 percent for Eucalyptus chips. In addition, an estimated 100,000 tons of wood pellets will be shipped to Europe this year.